We have recently published a new study in Human Molecular Genetics which assesses variation in DNA methylation associated with schizophrenia and schizophrenia polygenic risk score in 262 post-mortem brain samples. We used tissue from four brain regions (prefrontal cortex, striatum, hippocampus and cerebellum) and identified multiple differentially methylated loci associated with schizophrenia and genetic risk. Notably, these are not enriched in genomic regions identified in genetic studies of schizophrenia and do not reflect direct genetic effects on DNA methylation. 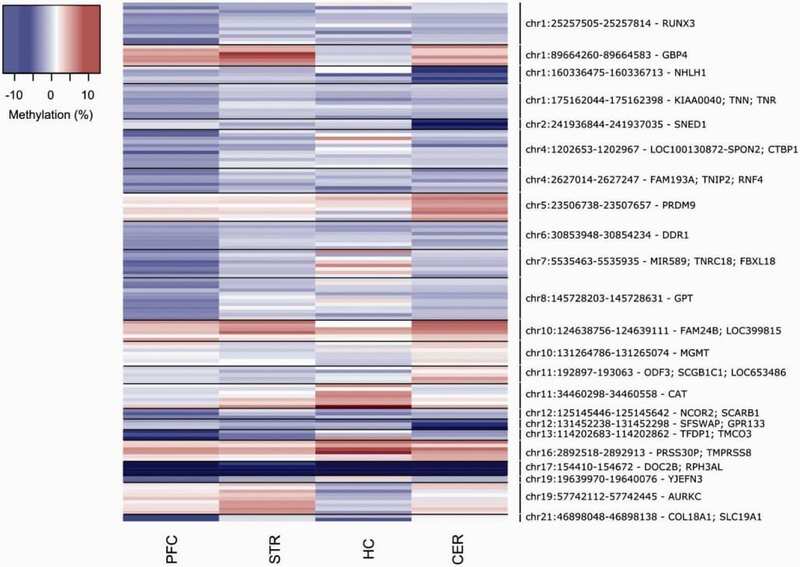 This study represents the first analysis of epigenetic variation associated with schizophrenia across multiple brain regions and highlights the utility of polygenic risk scores for identifying molecular pathways associated with aetiological variation in complex disease.